Happy New Year to one and all. With family obligations taken care of and some down time, I did a little digging for preview stuff on the Pitt/Syracuse game tomorrow. Undefeated Syracuse will try to get to 14-0 and both teams have been tested about the same playing some decent out of conference competition early on (Pitt with Texas, Wichita State in KS, Indiana - Texas with North Carolina, Cal, and Florida). Syracuse, like Pitt, was expected to be a middle-of-the-pack Big East team after losing a slew of players. The Orange have a balanced scoring attack with five guys in double figures in scoring. Forward Wesley Johnson averages 17/9 and could be a problem for Pitt's frontcourt. And of course this game kicks off what should be Pitt's toughest stretch of the season. While it would be nice for Pitt's young team to settle in a bit first, I'm of the mindset that it might not be so bad to get some tough games out of the way. After these games, things get considerably easier the rest of the way. Lose 4 out of 5 and you still have a good chunk of your season left, with only a handful of tough games. If Pitt can find a way to win two of these games and things look even better as you've just gone nearly .500 in your toughest stretch. After these next five games, Pitt still plays St. John's (twice), Seton Hall (twice), South Florida, Robert Morris, Rutgers, and Providence. You've got to figure, there are a good number of wins there. You hope Pitt can get at least six wins there and then grab three from their tougher games to get to at least 20 wins. But we've got a long way to go. I don't think Pitt will have a problem getting to seven conference wins as Ray Fittipaldo of the PG does. I don't think they'll lose to every tough team they face. One last point, Ashton Gibbs should have a shot at breaking the school's consecutive free-throw record. And no, I know what you're thinking - it's not two in a row. I think Pitt will have some trouble in a tough road environment, but I don't see a blowout here. Pitt typically plays better against tougher competition as evidenced in the Texas game (which was close before Texas pulled away late). 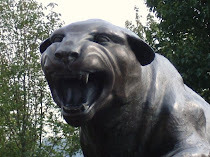 It will be difficult for Pitt to win, but by no means do I think they've got no shot. Either way, a road game like this early in the season is exactly what Pitt needs in my opinion. 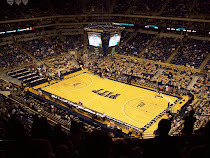 http://ticketfront.com/event/Pittsburgh_Panthers-tickets looking forward to it.